Great card ideas. Beautiful colours. 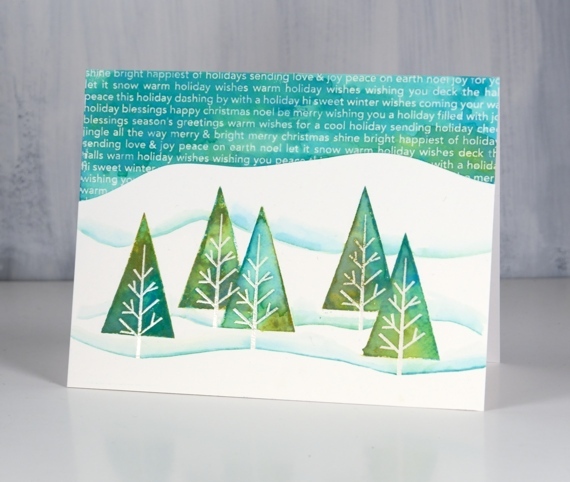 That is such a pretty scene you created with those little trees, and the colors are gorgeous! 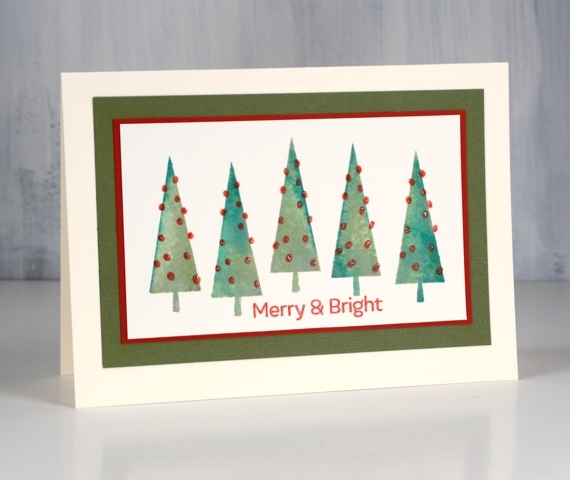 Lovely cards with these super fun trees! Fun, indeed! All three cards are great! 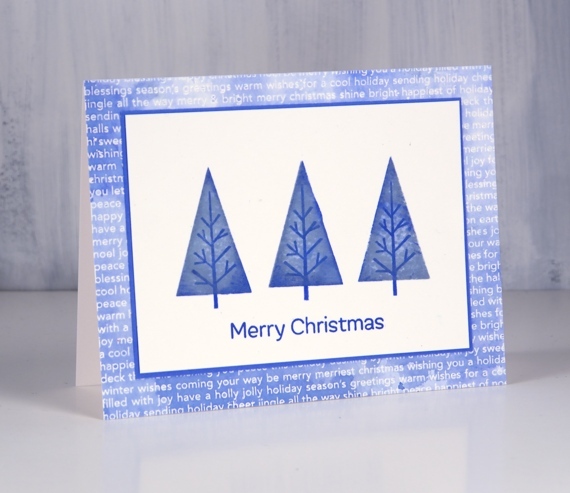 So cute, and idea I can use today, to rescue some triangle trees that are just not working yet: stamping white tree branches over them. Perfect! Thank you! 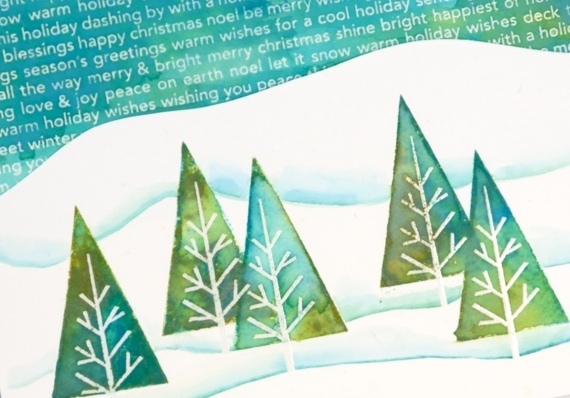 Thanks Liz, happy to have inspired a card rescue! 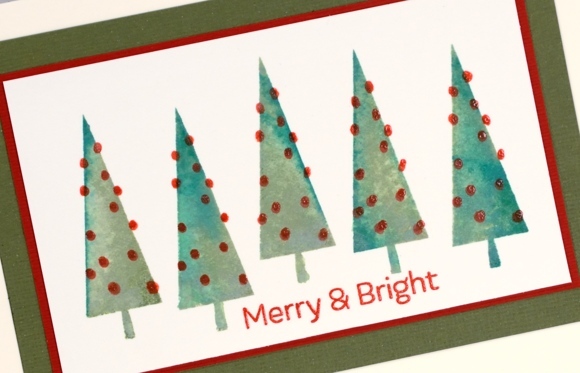 Who, apart from you Heather, would have envisaged such lovely cards from such a small stamp. The oxide ink colours are gorgeous. My favourite of the three is the first one, but I like the others too. Thank you Karen, my favourite is definitely the first one too. I was surprised how good the olive and aqua tones looked together. Thanks Peggy, the set is very clean and simple so it was fun working out how to keep each card a little different from the others. I love the beautiful colors of your trees and sky, Heather! And your snowbanks are perfect! That’s a technique I struggle with! 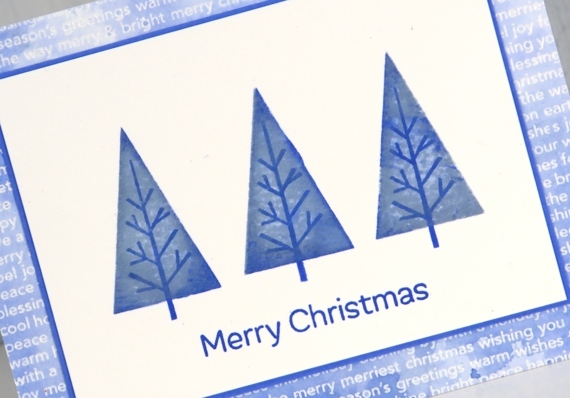 I love how you’ve shown the versatility of this stamp. Three great cards from it! These are wonderful. Modern and traditional at the same time. I am also quite taken with the words as background ‘texture’. Thank you for sharing the how-to so I can try for myself.